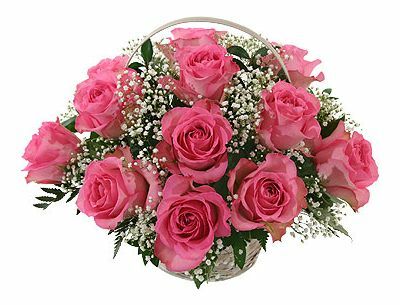 Send this beautiful basket of 24 pink roses to your near ones in india.Basket of Pink is an elegant floral arrangement of 24 pink roses artistically done by our expert florist. This is an absolutely charming flower basket you can send to any one. 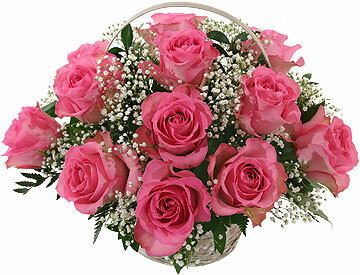 Pink roses are graceful and sweet and are also associated with elegance and romance. These traits make pink roses extremely popular and well suited for any occasion. Send roses bouquet online to your friends and loved ones on their wedding day, anniversary, birthday, graduation, success or on other happy occasions. The Basket of Pink is also ideal for Mother’s Day and Father’s day. Send flowers to convey your sincere regards and warm wishes to your loved ones. We offer home delivery service and same day delivery service.